Jadyn Firehawk of Yosemite let me know that the region was hosting a Gurl Scout Jamboree this past weekend. I went over to visit and see what was going on. I arrived early in the morning and found sleeping scouts so I tiptoed quietly away. Later when I came back there was a rowdy bingo game going on which all were enjoying. I saw by the colors of the tees there were quite a few troops taking part. These are adult gurl scouts. 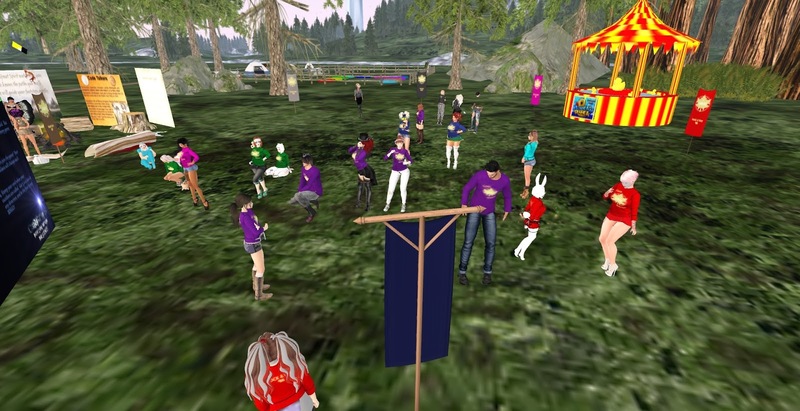 I was interested in background of the gurl scouts in Second Life since I actually bought some cookies last year from a scout. WixenWednesday introduced me to the founder of the movement , April Loire, and we had a nice chat. April told me she started a troop way back but then sort of let it go until someone approached her to ask advice on running a troop. 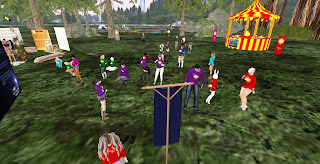 The project then took on a life and at this time there are about 400 gurl scouts in nine troops around Second Life. Eight troops are involved in this first jamboree. The work to earn a badge is difficult and must be proven. They each take a lot of work! The badges cross a variety of activities from growing to fishing and into the arts and all aspects of Second Life. She explained that they work closely with the Digital Farming System and that is reflected in many of the badges. Cookie Obsession is the name of the Scout badge book and it looks like there are new badges being created all the time. There is cookie selling in Second Life and half of the proceeds go to a charity of each troop’s choice and the rest of the money is used to support the troop. The uniforms are cute and the banner with the badges is worn with pride across the front. 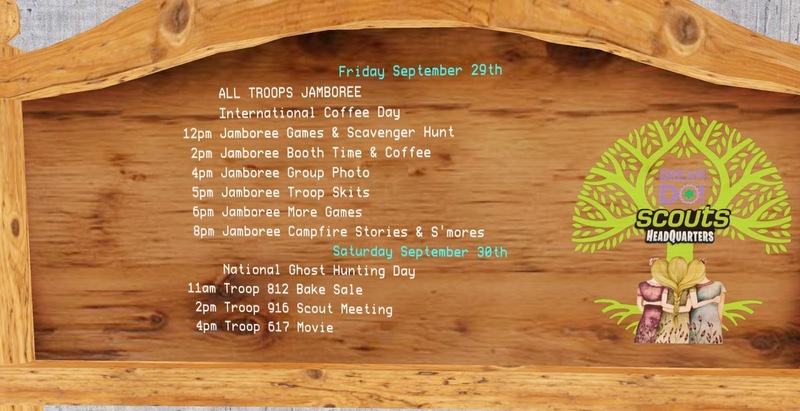 There are other activities through out the year according to each troop’s choice also. There is to be an Octoberfest coming up. April interrupted her fun at the jamboree and took me over to see the Headquarters where each troop has a Kiosk with something indicative of their troop. Later in the day I went back to Yosemite to check out what was going on and they were all preparing for the first jamboree group photo. In the evening there will be skits , campfires and finally a sleepover in the John Muir camping area. It looked like all were having a great time. I saw a few boy scouts were visiting also. 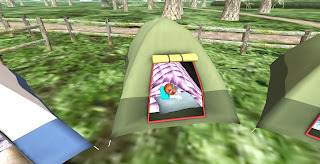 One of the troops is going to be sponsoring an Second Life kid’s troop very soon. 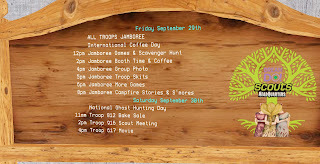 The jamborees will be held quarterly with a season theme in the future. The women have formed a bond that carries over into their Second Lives though they may all be different and live in different regions and involved in many projects. If you are interested in the concept visit the headquarters http://maps.secondlife.com/secondlife/Wiles/223/175/4002 You can also contact the people above for information.